For most of us, winter brings a bit of the blues. With winter weather hitting its peak, the cold and the indoors quickly become a retreat. Being stuck inside can be a bit of a bore. Create an oasis for yourself this winter with simple home updates! We’ve rounded up ten easy renovations to transform your space from bland to beautiful while staying on a budget. Revamp your room with a do-it-yourself modern art piece. All you need are a few simple materials to transform your wall into a work of art. Read Housemixblog‘s steps for creating your modern wall art here. Hang your hat on something a little sweeter. This wooden rack also has a dual function as either a towel or coat rack! Click here to read Being Mrs. McIntosh’s easy step-by-step tutorial on crafting a beautiful, rustic linen rack. Battle winter blues by showcasing your gorgeous houseplants on a throne of their own! View The Lovely Drawer’s article here to give your plants their very own cozy home. 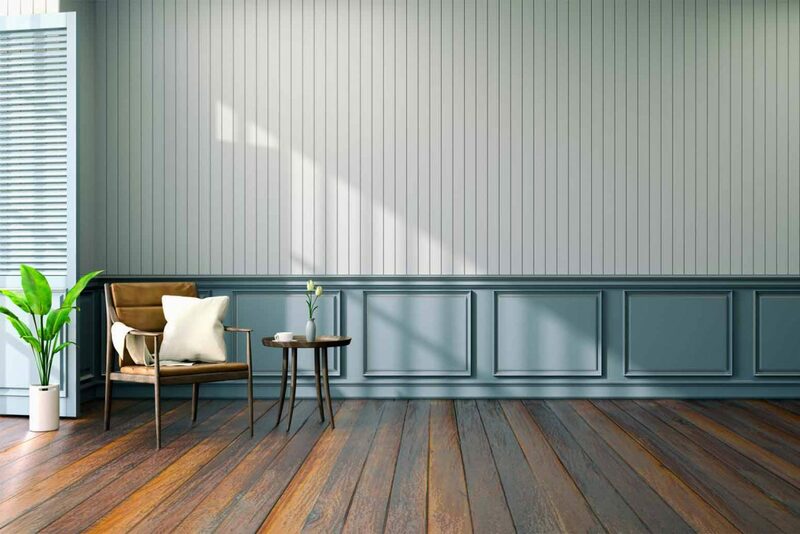 We all know that everyone loves shiplap, and now it’s easier than ever to transform your walls! Did I mention it’s budget friendly? Incorporate a nautical feel into your home with Farmhouse on Boone‘s easy DIY shiplap project, which you can view here. Create an oasis for yourself with these simple DIY home updates! Rusty registers can be a thing of the past, and so can expensive updates. Restore yours while restoring your wallet. Make your floor registers sparkle and shine with MoneyWiseMom‘s crafty tips here. Hate those unsightly cords hanging from the ceiling or wall? Transform the cord from ugly to unique by wrapping it with rope for a rustic look. Craftivity Designs shows you how to create a cozy feel in your home with your rope cord cover here. Scratches are gone without buying a brand new table with this easy update for any wood table top! Read how to get rid of those pesky table scratches by reading Mom Foodie’s tips here. Chalk paint isn’t just for the kids! Use it to transform your fireplace and chalk it up to creativity. Click here to read how My Heavenly Recipes transformed her fireplace with chalk paint. Update the outdoors by painting your porch railings! Adding curb appeal has never been easier. Give your porch railings a stunning makeover with Where Smiles Have Been‘s, easy tutorial, which you can read about here. Mirror mirror on the wall, what update scores them all? Staining a framed mirror is the perfect addition to a bathroom vanity. Cheap and easy. Need we say more? Craftivity Designs shows how to update your framed mirror here. We’ve rounded up 10 easy renovations to transform your space from bland to beautiful while staying on a budget.